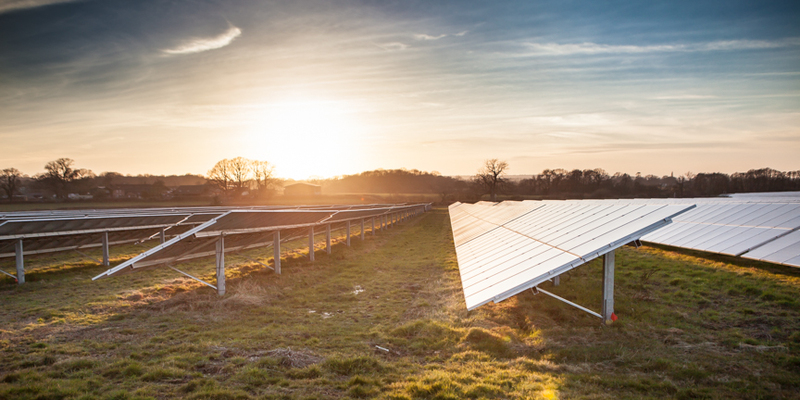 Data principles like artificial intelligence (AI) and machine learning could play useful, but limited roles in the future of solar asset management, a panel has heard. The concluding panel of last month’s Solar Finance & Investment Europe event in central London narrowed in on some of the most pressing themes in asset management and investigated the application of emerging technologies in particular. Declan O’Halloran, chief executive at asset management firm Quintas Energy, said his firm had worked hard in identifying solutions that “wouldn’t just keep people with PHDs in mathematics with job satisfaction”, but those that could make money through real world applications. One such area is using AI and machine learning principles to more accurately predict use of system charges within 24 or 48 hours. “At that point you at least know what your balancing charges are going to be and make decisions about the solutions around the PV generation, [and] it can make a difference to a hybrid solution. Those are areas which are exciting for the future of asset management,” he said. Francesco Girardi, chief executive at Bluefield Services, added that his firm had too been investigating the use of data and machine learning-based algorithms to expand on its predictive maintenance capabilities, helping plant owners and operators better understand how plants and individuals are aging. But these fields may be complicated by the manner in which UK sites are aging. Ben Guest, director at Gresham House, noted that operators and asset managers were beginning to see “different behaviours” from plants in the UK as they begin to approach five years of age and beyond. “You’re starting to see things we didn’t see in the first few years and happening more regularly, like switchgear failures. Sometimes its instabilities in local grids, and the number one thing I worry about is that downside especially in summer time is what you can do from a preventative perspective,” he said. One area in which asset owners and managers could aid this field is by electing to have one single supplier, or turn to as fewer manufacturers as possible for components, Guest said, adding however that this was an area that very few people had tapped into as yet. O’Halloran concluded that it ultimately boiled down to how well people knew their asset, drawing the distinction the different types of asset people own. He provided his view that there are four different types of asset – energy, financial, physical and data – and that they all needed to be managed correctly to draw the most advantage. The application of new trends like standardisation, machine-learning and AI, according to O’Halloran, need to be viewed from a purely financial perspective. “Business intelligence and machine learning have a role to play in the future, and I question all the time whether it makes any money for anybody. You’ve got to be careful about that,” he said. Solar Media's forthcoming Managing European Solar Assets conference takes place in Barcelona, Spain, on 25 - 26 April 2018. For more information on the event and ticketing/sponsorship enquiries, click here.